The agriculture sector in Afghanistan is seen to have a key role in driving economic growth. 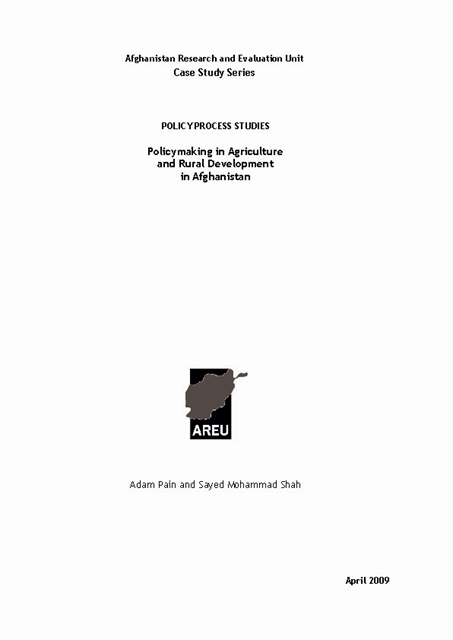 This paper examines the making of Agriculture and Rural Development (ARD) policy in Afghanistan. It is part of a series by AREU that looks at policymaking processes in Afghanistan, and aims to open up space for informed political choice.